Here is the 2014 Symphonic Breakdown Year Mix! 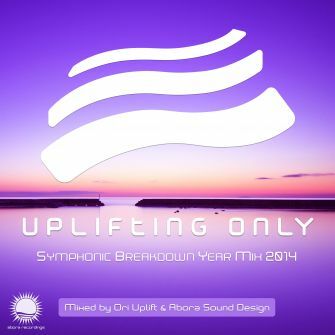 Based on Ori Uplift's Uplifting Only radio show and its fans' Tune of the Year votes, it brings together 56 tracks and the top highlights & memories from orchestral & emotional uplifting trance in 2014, packing them all smoothly into a single CD. But this year, it is an entire compilation! In addition to the continuous mixes, this contains 56 short orchestral pieces — including 53 breakdown mixes or edits specially made for this release! In many cases, the artists expanded their breakdowns into longer orchestral pieces. 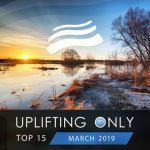 Only symphonic sounds in this groundbreaking, revolutionary "trance" mix: Although all the tracks used for this hour-long mix were uplifting trance tracks, only the breakdowns are utilized; all the trance parts are left out! And it is unobtrusively accentuated by added background sounds including subtle thunder, birds, waves, & wind chimes to perfect the symphonic experience. This is a "trance" mix without a single kick! And orchestral uplifting trance fans will simply smile in wonderment as they experience memory after memory after memory coming back of all those favorite songs of theirs. 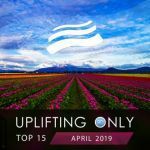 Featuring music by all the big names in the orchestral uplifting genre, including SoundLift, Andy Blueman, New World, Afternova, Kelly Andrew, Geert Huinink, Ahmed Romel, Simon O'Shine, Playme, & more. And brilliantly mixed by Ori Uplift and the Abora Recordings sound engineering team. The continuous mix experience is provided in two forms: 1. The full-length 79-minute CD version; 2. Two 40-minute mixes, for those who prefer their symphonic experience in smaller pieces, or not all at once. The CD (56 splits/mix cuts) will be available in early 2015.